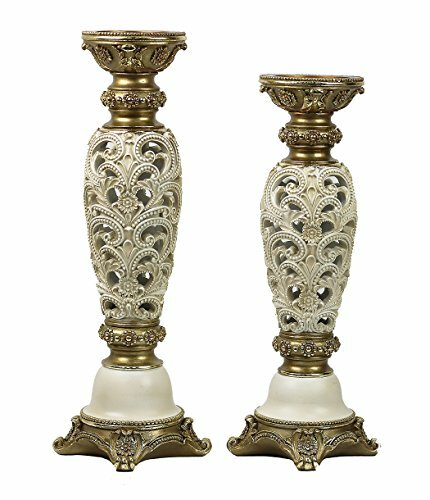 This gorgeous cassia design two piece hurricane candlestick set has the finest details and highest quality you will find anywhere! 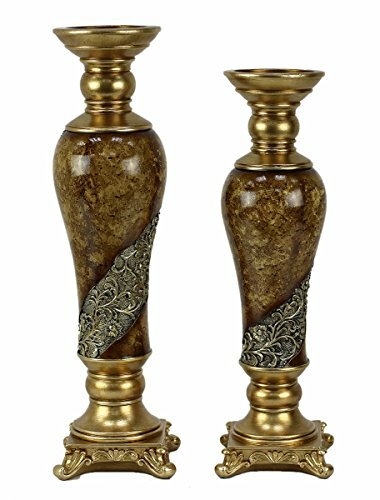 cassia design two piece hurricane candlestick set is truly remarkable. 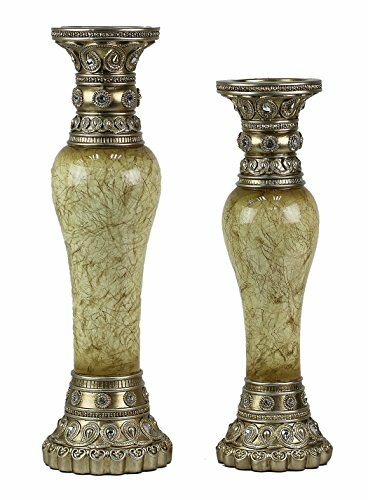 Cassia design two piece hurricane candlestick set details: condition: brand new item Suk: SS-DD-AD02 dimensions: H: 16 x H: 14 (inches) crafted with: poly resin more information: - this fabulous 2 pc hurricane candle set makes the perfect gift to impress. - made of intricately designed and collared Polynesian, it is surely a gift or centrepiece that will be treasured. 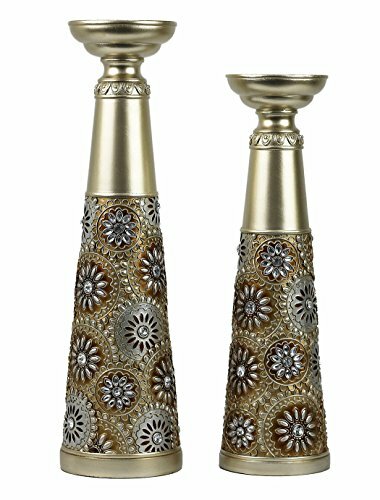 This gorgeous Iris design two piece hurricane candlestick set has the finest details and highest quality you will find anywhere! Iris design two piece hurricane candlestick set is truly remarkable. Iris design two piece hurricane candlestick set details: condition: brand new item Suk: SS-DD-BV02 dimensions: H: 16 x H: 14 (inches) crafted with: poly resin more information: - this fabulous 2 pc hurricane candle set makes the perfect gift to impress. - made of intricately designed and collared Polynesian, it is surely a gift or centrepiece that will be treasured. This gorgeous shandra design two piece hurricane candlestick set has the finest details and highest quality you will find anywhere! 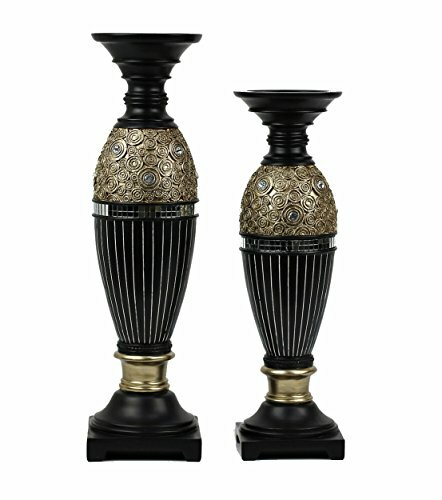 shandra design two piece hurricane candlestick set is truly remarkable. Shandra design two piece hurricane candlestick set details: condition: brand new item Sku: SS-DD-TT02 dimensions: H: 16 x H: 14 (inches) crafted with: poly resin more information: - this fabulous 2 pc hurricane candle set makes the perfect gift to impress. - made of intricately designed and colored Polynesian, it is surely a gift or centerpiece that will be treasured. This gorgeous Kayla design two piece hurricane candlestick set has the finest details and highest quality you will find anywhere! Kayla design two piece hurricane candlestick set is truly remarkable. Kayla design two piece hurricane candlestick set details: condition: brand new item Suk: SS-DD-HT24 dimensions: H: 18 x H: 16 (inches) crafted with: poly resin more information: - this fabulous 2 pc hurricane candle set makes the perfect gift to impress. - made of intricately designed and collared Polynesian, it is surely a gift or centrepiece that will be treasured. 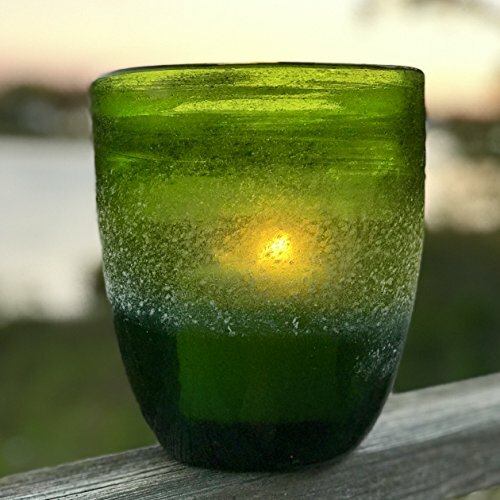 This fabulous 2 Pc Hurricane Candle Set makes the perfect gift to impress. Made of intricately designed and colored polyresin, it is surely a gift or centerpiece that will be treasured. This gorgeous Alana design two piece hurricane candlestick set has the finest details and highest quality you will find anywhere! Alana design two piece hurricane candlestick set is truly remarkable. 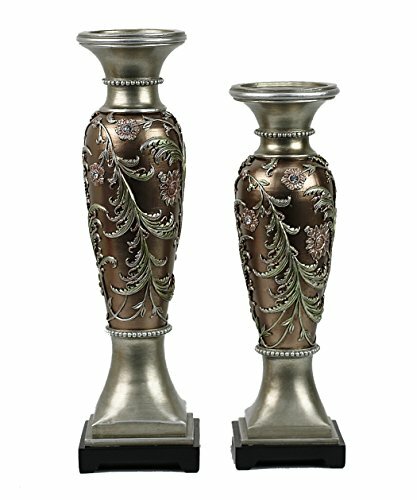 Alana design two piece hurricane candlestick set details: condition: brand new item Suk: SS-DD-FC02 dimensions: H: 16 x H: 14 (inches) crafted with: poly resin more information: - this fabulous 2 pc hurricane candle set makes the perfect gift to impress. - made of intricately designed and collared Polynesian, it is surely a gift or centrepiece that will be treasured. 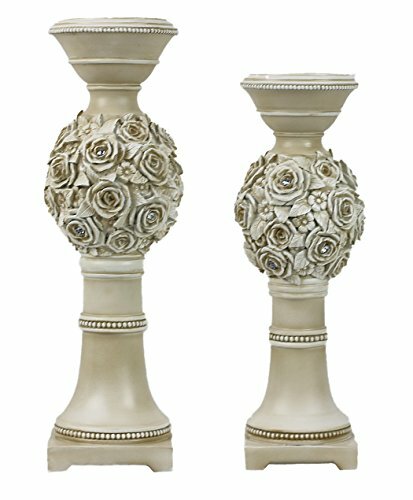 This gorgeous Venus design two piece hurricane candlestick set has the finest details and highest quality you will find anywhere! 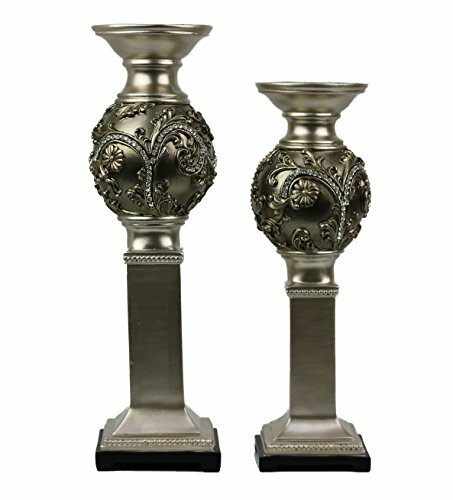 Venus design two piece hurricane candlestick set is truly remarkable. 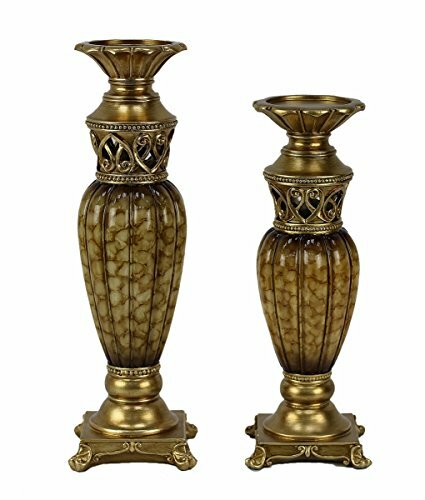 Venus design two piece hurricane candlestick set details: condition: brand new item Suk: SS-DD-YB02 dimensions: H: 16 x H: 14 (inches) crafted with: poly resin more information: - this fabulous 2 pc hurricane candle set makes the perfect gift to impress. - made of intricately designed and collared Polynesian, it is surely a gift or centrepiece that will be treasured. Compare prices on 2 Piece Hurricane Set at TopShopion.com – use promo codes and coupons for best offers and deals. We work hard to get you amazing deals and collect all avail hot offers online and represent it in one place for the customers. Now our visitors can leverage benefits of big brands and heavy discounts available for that day and for famous brands.